Unapologetically masculine with a touch of pure luxury. 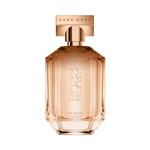 Powerfully opulent, symbolic and authoritative, BOSS BOTTLED. OUD is a true blend of craftsmanship. 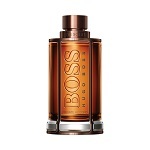 With 100% natural Oud, the rich, mysterious and highly prized Middle Eastern ingredient often described as ‘black gold’, it is a scent partner that builds on the success of the classic and much-loved BOSS BOTTLED fragrance. BOSS BOTTLED. OUD is an exciting male fragrance that is distinctive and commanding and the epitome of modern masculinity.